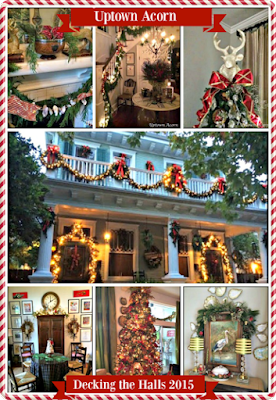 Each doorway was draped in lush garlands and a live wreath. 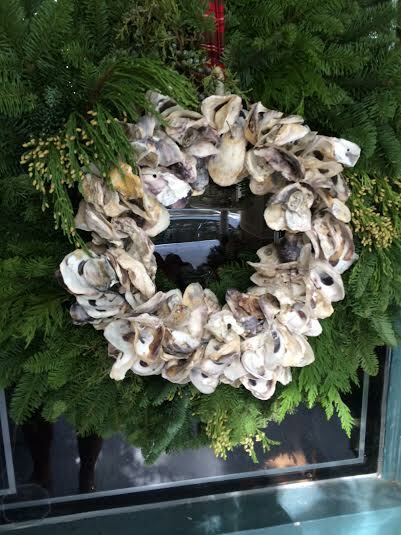 In the middle of each wreath, a smaller oyster wreath was wired. The oyster wreath adds just enough Southern charm. 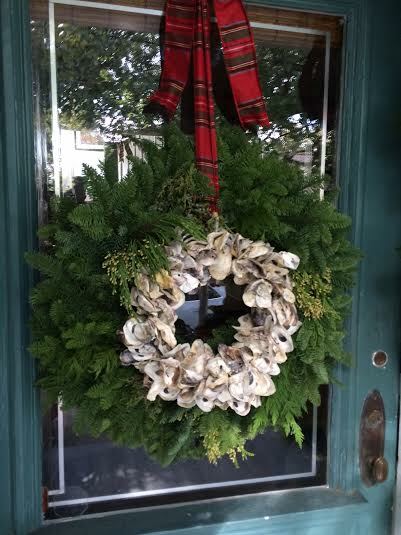 I finally used the oyster wreaths found and purchased for me by Lauren of simlylkj blog. Thanks, Lauren! 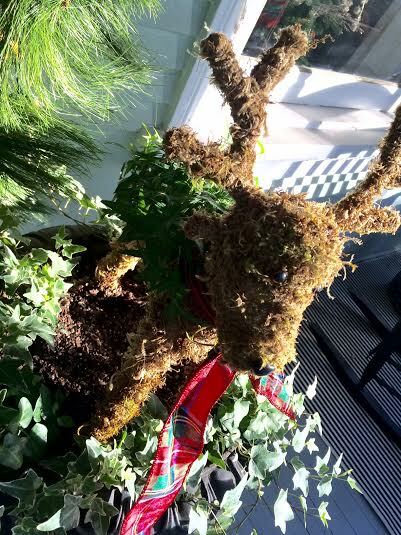 In the urns outside my front door, two deer topiaries stand at attention. I love these lil guys from Mitch's Flowers. Monique was nice enough to special order these for me this year after seeing them in her shop last Christmas season. 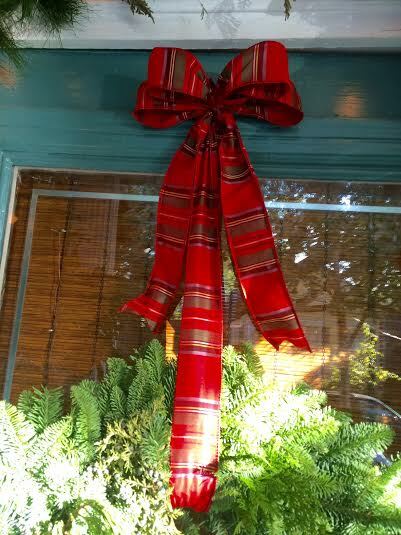 Tartan plaid ribbons add the perfect seasonal touch. 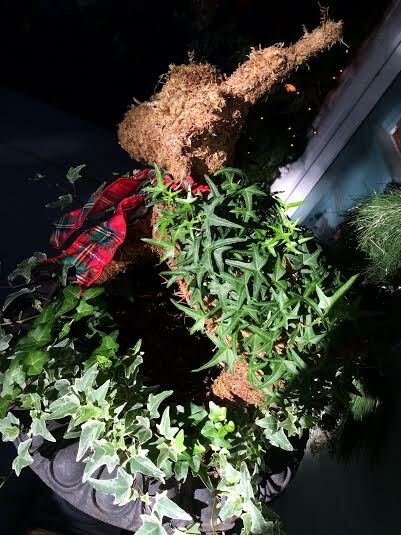 I have always loved plaid and love to use in my Christmas decor. 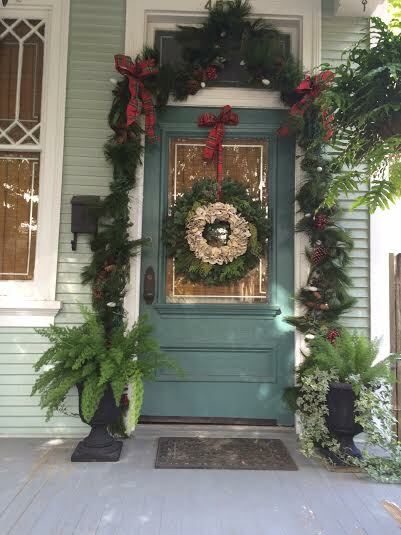 Decking the Front Door, y'all! What a fabulous idea-the oyster wreath! And I think you know how much I love tartan. Looks so great! 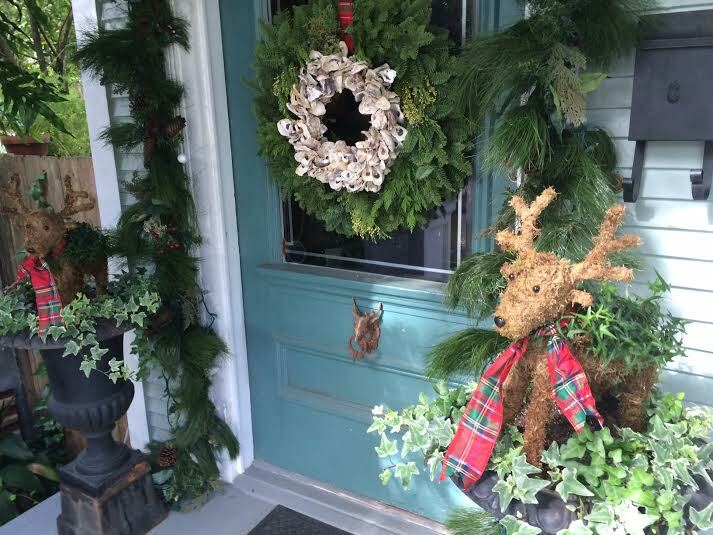 Your wreaths are amazing and just perfect for your home. I sure wish I had a big porch to decorate! Gorgeous wreaths and holiday decorating! Happy Holidays! Love!!! And so stealing your idea ;-) I was waiting to see what you would do with them. Oysters and plaid equals perfection!!! 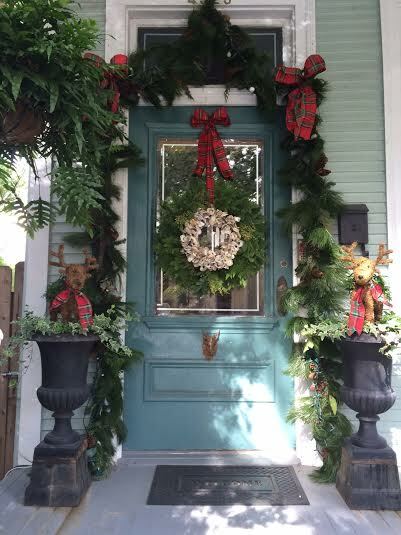 This is wonderful Ron- love the grand look you created to your front door. 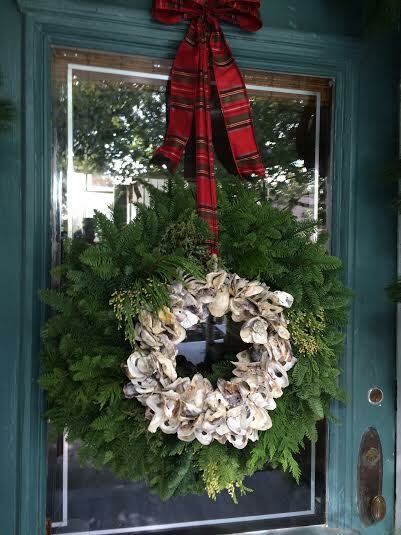 The oyster wreath mixed with the evergreen wreath look fabulous together. 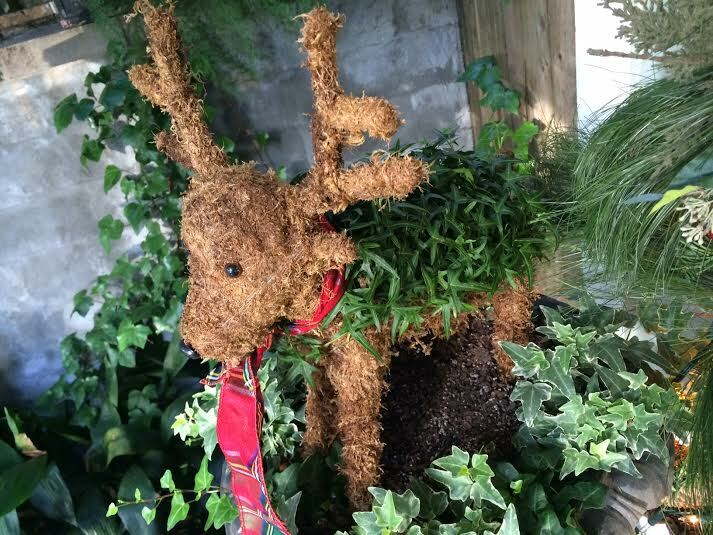 The little deer topiaries are just adorable! Your front door and entry way look so pretty! 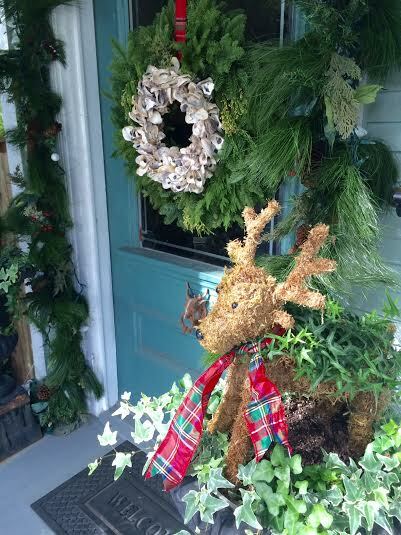 I love the plaid ribbon mixed with the greenery and the oyster wreath added in the mix. So beautiful! I love all the plaid and that is my theme also for my front porch this year. 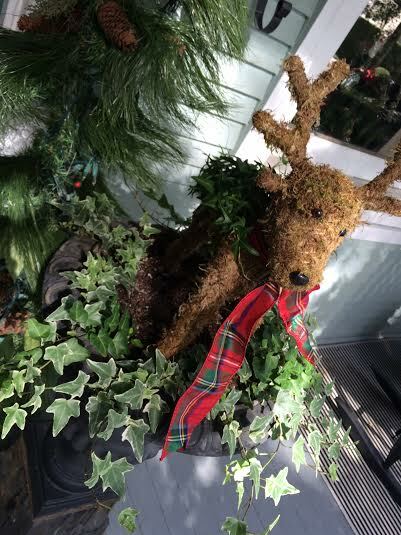 I also love the oyster wreath mixed in with the greenery and those deers are so cute. I can't wait to see more! So pretty! Love the deer, so cute. I adore the oyster shell wreath with the natural greenery!!! Timeless Classic with a touch of Traditional and whimsical!!! Featuring you today at AMAZE ME MONDAY! It looks just perfect and wonderful! Blessings! love all the colors together with the greenery. looks warm and welcoming. Your oyster wreath is just so unique and so you Ron!